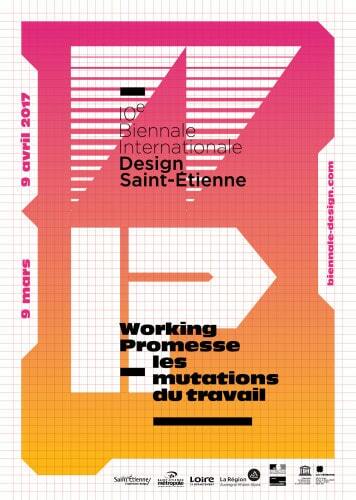 The Biennale Internationale Design Saint-Etienne 2017 invades the entire district, the streets, with participatory and inclusive events. Olivier Peyricot has brought together a range of international talents and united them around the theme Working Promesse, to offer visitors a panorama of the shifting work paradigms, in particular on the Cité du design site, with a discovery trail “IN” in 10 stages. Within this trail, Detroit, member of the UNESCO City of Design and guest of honour, presents 3 exhibitions, to share its experience as a resilient city, in the midst of shifting work paradigms. 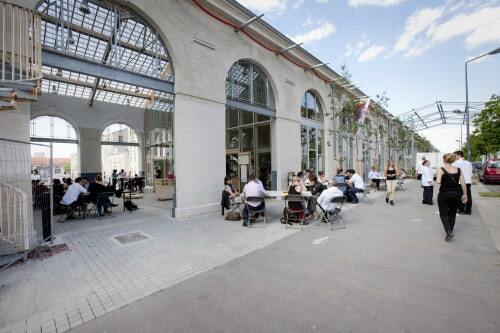 This year, as well as the “IN” exhibition trail, the Biennale Internationale Design Saint-Etienne will also be taking place outside the walls of the old Manufacture d’Armes of Saint-Etienne site, turning the Saint-Etienne district into a large-scale territory of experimentation. Creativity and conviviality are an integral part of the identity of Saint-Etienne and its people, and this is what the Biennale will be aiming to highlight. This 10th edition will also be echoing around the Metropolitan Area (Grand Lyon, ViennAgglo, Saint-Etienne Métropole, CAPI Portes de l’Isère): thereby helping to extend the reach of design and this unmissable event even further afield. The 10th edition of the Biennale Internationale Design Saint-Étienne will confirm the Cité du design’s commitment to the business world and its economic positioning. On this occasion, it has set up a reinforced support system to encourage companies to take part through the exhibitions and experiments, or by organising events dedicated to professionals. For the 2017 edition, the ESADSE (Ecole Superieure d’art et design de Saint-Etienne) is also proposing 15 projects. This is the only art and design school in France to be fully involved in an international event such as the Biennale. Online from January 2017 on our website: www.biennale-design.com, on the Cité du design site, at the Office du Tourisme and in all the main museums around the district. elit. quis ipsum eget sem, dolor.